Does Our President-Elect Intend to Keep His Word? This is the Concluding Part of this essay. The second part was published in our last edition. ON July 29, 1975 some Seven Colonels of the Nigerian Army that included Colonel Abdulahi Mohammed, the late Colonel Shehu Musa Yar'Adua, the late Colonel Joseph Namven Garba, Colonel Ibrahim Badamosi Babangida, Colonel Muhammadu Buhari, the late Colonel Anthony Ochefu and perhaps Colonel Paul Tarfa, announced a change in the military leadership of the country. Rather than announcing one of their group as the new head of state, the Seven Colonels had surrendered leadership to senior military officers that appeared to them to have the courage and the candour to govern Nigeria. Within 24 hours of the coup, the late General Murtala Ramat Mohammed, General Olusegun Obasanjo and General Theophilus Yakubu Danjuma were announced Head of State, Chief of Staff (Supreme Headquarters) and Chief of Army Staff respectively. The coup was announced by the late Joseph Namven Garba, a fellow Plateau tribesman of General Yakubu Gowon and Commander of Gowon's Brigade of Guards. It was clear that the Seven Colonels had a programme that was patriotic and that was designed to restore the Nigerian military to its glorious days of old. For example, when one of their members, Colonel Anthony Ochefu who after the coup had been announced the military governor of the then East Central State in Enugu was disengaged from the Army in the retirement exercise carried out by Murtala Mohammed regime, no finger was raised by the remaining colonels in protest. General Murtala Mohammed was unfortunately assassinated by some cowboys in military uniform on February 13, 1976 in an abortive coup led by the late Colonel Bukar Suka Dimka of the Physical Education Corps of the Nigerian Army. The Seven Colonels were equally able to announce General Olusegun Obasanjo as the new head of state without permitting ethnic chauvinism to becloud their sense of judgement. It was General Olusegun Obasanjo that led the Nigerian military to hand over power to civilians on October 1, 1979 thereby returning credibility to the Nigerian Army. Nigerians have the reputation of hailing heroes whenever they see one. The sadistic assassination of dynamic Murtala Mohammed on February 13, 1976 completely united all Nigerians in their condemnation of the barbaric act. Nigerians from all walks of life protested the tragedy that they were made to witness. The spirit of a new Nigeria completely dedicated to the course of unity and stability was born with the sad events of the Mohammed assassination. 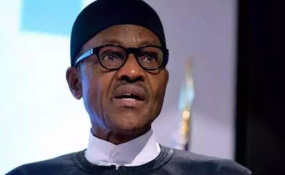 Some of the military leaders like General Muhammadu Buhari (rtd) and General Ibrahim Babangida (rtd) are now active gladiators in the political arena of the country. The two have announced their intention to contest the 2007 Presidential election. General Sani Abacha who also emerged during the period as Nigeria's military ruler has now passed on. I was a member of the first cabinet announced to Nigerians by General Sani Abacha on his climb to power in 1993. It will simply amount to sanctimonious hypocrisy on my part to start commenting on that era. History will eventually pass its judgement on all of us involved in the political events of that era. Let me, however, humbly submit that the pride and credibility that were the lot of the Nigerian military between 1970 and 1974 and between 1976 and 1979 became dented with the emergence of politicians in military uniform right from December 31, 1983 when the Second Republic politics was terminated by the Army. Thus immediately after the December 31, 1983 coup was announced by the 'Beret' Generals, some politicians like Alhaji Umaru Dikko and Alhaji Isiaku Ibrahim went into exile while many of the political actors of the second republic were rail-roaded to prison. In paid advertisements inserted in many foreign newspapers and particularly inside the Talking Drums (a political newspaper established by Isiaku lbrahim in London and edited by a Ghanaian, Elizabeth Ohene now of the British Broadcasting Corporation in London), Alhaji Isiaku Ibrahim had informed the world that Major General Muhammadu Buhari who had been appointed the military head of state of Nigeria after the coup and many of his military colleagues were members of the ruling NPN in Nigeria during the country's Second Republic. No matter whatever value that one may place on the Isiaku Ibrahim testimony, it may not be contentious to claim that the ordinary members of Nigeria's Armed Forces were made cheap pawns in the high grade game of political deceit and inordinate ambition of some soldier-politicians between December 31, 1983 and June 8, 1998. That Nigeria survived between 1983 December 31 and June 8, 1998 was due principally to the patriotic spirit of the Common People of Nigeria and their spartan determination never to surrender to forces of parochial ethnic chauvinism and tribal jingoism. The Nigerian people and the emergence of patriotism: That anyone may now wish to beat his chest by stating unequivocally that the people of Nigeria are politically volatile and articulate must be based on the patriotism and total commitment to the unity of this country that Nigerian people have displayed since December 31, 1983. It is necessary to document for posterity some of these achievements of the ordinary people of Nigeria towards enhancing the unity of the country. But for the patience of Nigerians, the country would have had difficulties in holding on together from 1983 (December 31) to June 8, 1998. When the Buhari military regime came, the Nigerian people trooped out of their homes in jubilation to welcome the coup. The rejoicing had been due to the corruption of the NPN regime and the rigging of the 1983 elections by the same party. It must be remarked that the December 31, 1983 coup was the last military coup to be welcomed with enthusiasm by the Nigerian people. The other successful coups like the August 27, 1985 and November 17, 1993 coups were all received by the Nigerian people with cautious optimism. As regards the unity and cohesion of the Nigerian federal state, the common people have never been shaken in their faith and belief in these noble goals. While it was easy during the colonial days when Nigerians were Her Majesty the Queen of England's subjects, politicians were able to easily manipulate and exploit the tribal sentiments of the people for electoral support. By 1990s, this had become impossible in the country. The feudal elements of the North have always conceived Nigeria to be an extension of their private homes. These people have always believed that they (the feudalists) have been ordained to rule Nigeria for ever. Today in Nigeria, none of these men can sit and relax in their homes believing in their crudest imagination that they could easily manipulate the ordinary people of the North to join them in their fantasy conception of Nigeria as a chief state of feudal bigotry and tyranny. The only area they now exploit is religion. I will examine this issue later. On Sunday, April 22, 1990 a coup of junior officers of the Nigerian Army was announced on the network of the Nigerian Broadcasting Corporation (now Radio Nigeria) by Major Gideon Gwarzo Orkah. The coup had been led by Major Gideon Orkah, Colonel Anthony Nyiam and Major Salima Daddy Mukoro. The coup attempt was to remove General Ibrahim Babangida from power. Major Salima Daddy Mukoro was a highly educated military officer with a Ph.D degree in criminology from Yale University. All the leaders of the abortive coup were brilliant and professionally competent military officers. This was a coup that had been taken out of the conventional practice of using the military barracks as centre for coup planning and execution. A civilian businessman, Mr. Great Ogboru, had made his fishery business house near Ikorodu town available to the young soldiers to strike the IBB regime. The coup of the young men failed. It failed not because the young men did not have justifiable reasons to stage a coup. The coup failed because of the decision of the rebellious soldiers to announce the excision of Hausa-Fulani areas of Nigeria from the country. Immediately Nigerians heard this announcement, they spontaneously turned their backs to the coup and prayed for its failure. Nigerians were simply annoyed at the decision of the coup makers to break up the Federal Republic of Nigeria. Ordinary Nigerians residing in Lagos ran to lkoyi after the coup to witness soldiers shooting at themselves. It was the beginning in Nigeria of the demystification of the might and power of the Nigerian military, it was a great victory for Nigeria. Another reason for the failure of the April 22, 1990 coup was the identification of the mutinous soldiers with fundamentalist Pentecostal Christian fanaticism. Some Nigerians who were detained in the same prisons with many of the coup makers came out to remark on the fanaticism of the arrested soldiers to Pentecostal Christian beliefs. Major Gideon Gwarzo Orkah and many of the soldiers that had participated in the failed coup were subsequently executed. Colonel Tony Nyiam and Major Salima Daddy Mukoro fled into exile. Had the coup makers not announced their proposal to break up Nigeria, possibly the history of the coup would have been different. It was quite possible that many of the soldiers who later crushed the coup, could either have been nonchalant in rising to the defence of the Babangida regime or have declared support for the young men had the young soldiers not announced the excision of Hausa Fulani states from Nigeria. A proof of the popularity of the young coup makers could be seen in the movement of the entire Mukoro family out of Nigeria to join Major Mukoro in America. After the coup had failed, members of the Mukoro family had been put under house arrest. It was a big surprise when the wife, children and family held under house arrest successfully managed their escape from Nigeria. The spontaneous reaction of the Nigerian people in favour of the indivisibility of the Nigerian state was a creditable achievement of the common people of Nigeria. The Nigerian people were to exhibit the same patriotic spirit on June 12, 1993 and February 27, 1999. On June 12, 1993, Nigeria had gone to the polls to elect their President. The leading political party in Nigeria of that time (the SDP) had fielded two Muslim candidates (Alhaji Moshood Kashimawo Abiola and Alhaji Baba Gana Kingibe) as president and vice presidential candidates respectively. One of them, Alhaji M.K.O. Abiola was a Yoruba from the South-West of the country. Nigerians particularly those from the North overwhelmingly voted for a Southern candidate (MKO Abiola) while the entire Christians in Nigeria voted for the ticket closing their eyes to the Muslim-Muslim ticket the SDP had presented to Nigerians. It was a great feat performed by the Nigerian people and this became one of the principal reasons why the annulment of the June 12, 1993 Presidential election result will continue to be a bitter pill in the mouths of millions of Nigerians. The same feat was repeated on February 27, 1999 in the presidential election organised by the General Abdulsalam Abubakar's military administration as major part of the programme to terminate military rule in Nigeria. Chief Aremu Olusegun Okikiola Obasanjo, a Christian from Yoruba South-West of Nigeria and a former military head of state won the election and received very wide electoral support from the Northern and Eastern electorate. Igbos and minority people from the South-South and South Eastern parts of Nigeria had cast aside the traditional suspicion that had existed over the years between them and the Yoruba from the South-West to vote for Obasanjo and the PDP. This again was a major victory for Nigerian patriotism. It must therefore be said clearly that the common people of Nigeria have succeeded in ensuring the unity and indivisibility of the Nigerian nation. At critical times in the history of Nigeria particularly from 1983 December 31 to June 8, 1998, the ordinary people of Nigeria never betrayed Nigeria's guest for unity and stability. The problem of Nigeria in the struggle for unity and stability has always been the country's elite (civilian and military). Cementation of democracy: Democracy remains the best form of government known to man. In concrete terms, two democratic republics have been made to collapse in Nigeria since our independence in 1960. Our current experiment is the country's third major attempt at establishing democratic rule.Since 1999, Nigerians have held two major elections. Despite all the problems associated with these elections, our country men and women now seem to agree that the worst civilian regime is much more better than the most benevolent military regime. In other words, Nigerians are no longer in the mood to surrender themselves anymore to the whims and caprices of our sons in the Armed Forces who since January 15 1966 have been waking us up from our beds with the familiar slogan of "Good morning, fellow Nigerians." I am not saying that coups are no longer possible in Nigeria. I am, however, clear in my mind that a would be coup maker in the Nigerian Armed Forces will have to think more than twice before romancing himself with what now appears in the eyes of Nigerians to be a funny joke. All Nigerians must join in the struggle to permanently cement democracy and democratic culture in our country. Our democratic experiment has since May 29, 1999 yielded positive results. Today, Nigerians are treated with respect in all countries of the world. We are no longer subjected to excruciating searches by Immigration officials of other lands. Nigerian travellers are no longer sniffed by dogs in European and American capitals. Today, Nigeria has returned forcefully to the commity of free nations. Where yesterday we were treated like a pariah nation and our country was gladly seen to be outside international organisations, today Nigerians has been playing leading roles in African and international affairs. We owe this to the democratic platform we in this country have embraced since May 29, 1999. Though problems still abound (as they will for ever be), Nigerians must continue to make all the necessary sacrifices needed to establish democratic traditions in Nigeria. I must here praise the Nigerian Armed Forces for their firm resolution in supporting the Nigerian people in the quest to make democracy succeed in our country. Formerly, simple socio-political eruptions in Nigeria have often been used as excuses for a Coup by the soldiers. We have been told several times before by military officers that some politicians have often cajoled and coerced soldiers into staging Coups. Nigerians are impressed that the Nigerian Armed Forces are determined to combat this whenever such situation arises. The constant affirmation of support to the country's democratic experiment by leaders of our country's Armed Forces deserves the commendation of all. It is equally laudable that the Nigerian society is no longer receptive to rumour mongering - a factor that the neo-colonialists had used to undermine progressive leadership and governments of developing nations of Africa. Every little eruption within the political system is deliberately interpreted by rumour mongering to create restiveness and restlessness within the Army. This has diminished today in Nigeria. No matter the criticisms that will continue to be made of the Chief Olusegun Obasanjo regime, no one can write off the programmes and policies he has courageously and often times stubbornly been executing in building solid foundation for the country's democratic experiment. It is to Obasanjo's credit that he has (no matter what anyone may say) since May 29, 1999 been maintaining the delicate balance of power in Nigeria and this is important. He has equally given the Nigerian people a stake in the political process. He must, however, face the economy. There is hunger in the land. Democracy, however, is an expensive venture more so in developing nations. We must never shy away in judiciously allocating our money and resources to sensitive areas of our country's institutions in order to make our democratic experiment to succeed. We must spend money to professionalise our Armed Forces and build in them the culture of being mainly concerned with the defence of our territorial integrity rather than waste their energy in constant senseless pursuits of political power. There are millions of Nigerians who are today fearful of what may become of Nigeria with the coming 2007 elections. This fear is reasonable particularly when Nigerians acknowledge the fact that Obasanjo who has a commanding personality and whose administration has within objective standards been successful in holding the country together will be vacating the stage in year 2007. I can, however, assure Nigerians that this justifiable fear will be defeated by the supreme will of the common people of Nigeria who (as I have mentioned earlier) have resolutely stood by the unity and continued existence of Nigeria as an indivisible entity. Nigerians have shown in their history since 1914 that no one can be greater than the country. No politician can subdue the country into accommodating whatever might be his individual programs for political power and self actualization. The political storms will definitely be there in 2007 but the storms will successfully blow over Nigeria. The challenge before us lies in our unshaken belief in the democratic system. Nigerian people equally know that political freedom is a cherished world wide value and the right of all mankind. It is a matter for joy that despite all our problems our country's democracy is marching on and it is flourishing. If democracy succeeds in Nigeria, it will flourish in all countries of black Africa. The convocation of a national conference: There is the urgent need for our country to have a national conference. I have never agreed with the Nigerians who have been advocating for the convocation of a sovereign national conference. The struggle for the convocation of a sovereign national conference assumed greater proportions and immensity after the unfortunate annulment of the June 12, 1993 elections and it equally became stronger during the regime of the late General Sani Abacha. Since the death of General Sani Abacha, the transition programme of General Abdulsalam Abubakar (rtd) that eventually paved the way to the restoration of a democratic regime on May 29, 1999 has to me altered the character and the message of the struggle for a sovereign conference in Nigeria. The sovereign authority in Nigeria lies with all the elected political leaders and institutions in the country. A sovereign national conference is only the panacea to problems of countries where democratic political institutions have collapsed thereby leading to the centre of authority in those states being unable to hold these states together. Emphasis is now being mentioned by protagonists of a sovereign national conference for Nigeria on the fear of executive manipulation of decisions of a national conference. The nearest example of a country that experimented with a sovereign national conference in her history is the Republic of Benin where a Bishop De Souza had acted as chairman of the conference. In the example of the Republic of Benin, it was clear that President Kerekou had lost all legitimacy to continue to govern Benin Republic at that time. We today in Nigeria have democratic institutions that have been elected by the Nigerian electorate and we equally have democratically elected leaders to manage the affairs of Nigeria. With these available to us, we no longer need to continue to call for a Sovereign National Conference. There however is the desired need for a national conference. The principal aim of the National Conference is to help redefine clearly and unambiguously the federal nature of our country's existence. The Conference will help Nigerians in defining the issues of:: Political power equation in Nigeria; The place of religion in our national life; The economic relationship to be pursued within the socio-economic arrangement in Nigeria; The harmonization and possible blending of the cultural diversities of the country; The structural placement of sensitive organs of state like the police, army, etc, within our federal arrangement. The issue of power relationship between the Federal and state governments in a federation, etc etc. It must be admitted (and creditably to all Nigerians) that our federation remains today one of the few surviving federations in the world. Other federations like the Soviet Union, Czechoslovakia and Yugoslavia have collapsed like a pack of cards. We need a national conference to help us cement firmly our resolve to continue to live together as members of a united democratic federal state. Federations are governed by compromise, consensus and coalition of interests. A national conference of the Nigerian people will help us define how these principles will be successfully applied to our federal existence. The conference will also help us exterminate the use of religion as potent weapon in the hands of dangerous elements to continue to endanger the peace, unity and stability of our country. Time will not permit me to state here what could be the composition of such a national conference. I have done such an exercise in a lecture I delivered in July, 2004 at Osogbo. Let me, however, submit that President Olusegun Obasanjo should use his strong presidency to convene the conference. The convocation of a national conference is very crucial in our country's march to stability and progress. Honouring our heroes: In our quest for unity, stability and progress, we must honour the heroes in our society. We must recognize talents and we must never allow the contributions of citizens to our country's political development to peter into oblivion. Our battles with corruption and political management can be better waged with out iron resolve never to obliterate the positive contributions of our fellow countrymen and women to the nation's progress. Drawing from the examples of the life and times of Nigeria's nationalist leaders like Sir Ahmadu Bello, Dr. Nnamdi Azikiwe, Chief Obafemi Awolowo, Chief Herbert Macaulay, Alhaji Aminu Kano, Sir Abubakar Tafawa Balewa, Chief H.O Davies, we must find out how they were able to subject themselves to personal and political lives that did not accommodate a propensity for the acquisition of wealth. We must ask why these leaders were never associated with no criminal looting of our country's resources during their time in power. The Foster Sutton and Coker Commissions of Enquiry that were established to probe the African Continental Bank and the National Bank respectively in Nigeria's first republic never produced results that showed an unlawful personal enrichment of the two Nigerian great leaders (Dr. Nnamdi Azikiwe and Chief Obafemi Awolowo) who were the political leaders tried by those tribunals. We must as a nation use their lives to find out why the political parties established by our founding fathers never permitted the use of money to bar the emergence of Nigerians dedicated to offering genuine leadership to the country. It is sad that it is simply impossible these days to find Nigeria's finest and the best contesting elections simply because such individuals have no access to money. It is a reality of our national life today that a Nigerian who can not pull together nearly half a million naira should not venture to put himself forward as a candidate for a local government councillorship position. It is equally lamentable that our electoral regulations officially ordered by electoral agencies of government even put deposits for elective positions far beyond the capabilities of otherwise good candidates who can not pull together such huge deposits. In the days of our founding fathers, delegates to national conventions paid their ways to such conventions. These days (at least since 1991) delegates to national conventions of their political parties are paid. Even allowances are today being paid to politicians who attend meetings to project the candidature of prospective candidates for elective positions. A conscious policy of constantly making references to the principled and inspirational life styles of our past leaders will help us establish a tradition of selfless service to our country. Shortly before General Olusegun Obasanjo (as he then was) handed over power to President Aliyu Shehu Shagari in 1979, he established a Committee of Intellectuals to attempt a rewrite of the history of Nigeria. This was an attempt to immortalize the contributions of our heroes at various stages of the country's historical development. Unfortunately, successive regimes in Nigeria have not continued with the programme. It will be to the very best interests of our country if President Obasanjo can revive the committee and give it broader terms of reference that will totally subject our country to critical analysis of the country's history since our colonization by the British in the nineteenth century. We are lucky that we still have some of our country's nationalists who were aides and comrades of our founding fathers still breathing the air of life in our country. We must identity all of them still alive and honour them. We must go to them to give us their life experiences. They must tell their stories and such stories will surely be a source of inspiration and strength for those of our citizens aspiring to govern Nigeria. These surviving leaders include Alhaj Maitama Sule, Alhaji Ali Monguno, Chief Theophilus Sobowale Benson, Alhaj Lateef Jakande, Papa Archdeacon Emmanuel Alayande, Chief Abraham Adesanya, Chief C.C Onoh, Chief Harold Dappa Biriye, Chief Anthony Enahoro, Madam Margaret Ekpo, Chief Sebastian Umoren, Chief M.T. Mbu, Chief Nbazulike Amechi, Chief Michael Imoudu, and Alhaji Tanko Yakassai. Alhaji Yakassai, a tailor by profession, was one of the militant youth activists of the Mallam Aminu Kano's NEPU Talakawa Movement that by dint of hard work and perseverance personally educated himself to the level that he is today. He remains today one of the most credible sources on the growth and development of progressive politics in the Northern States. There are other second layer leaders of the Nigerian nationalist struggle who are still equally alive to tell their stories particularly those related to the radical participation of the youths of those days in the struggle to free Nigeria from British Colonial rule. Such men include Dr.
Tunji Otegbeye who led the Nigerian Youth Congress for many years before joining the late Wahab Goodluck, Dr. Lasisi Osunde and others to establish the Nigerian Socialist Workers and Farmers Party (SWAFP), Chief Ayo Adebanjo who was an Action Group Organising Secretary in the Colonial era and who with late Comrade S.G Ikoku fled to Ghana in the wake of the Action Group crisis of 1962, Professor Sam Aluko, Professor Obiechina, Professor Akin Mabogunje, Professor Wole Soyinka (Nigeria's Nobel Laureate), Professor Chinua Achebe who with the late Professor Chimere Ikoku, Professor Obiechina and Professor Ikenna Nzimiro had established the Frantz Franon Institute immediately after the end of the Civil War in 1970 at the University of Nigeria Nsukka and several others. We must recognize these men and correctly place their contributions in Nigeria's roll of honour. We as a nation must equally learn to recognise talents and give honour to Nigerians who have used their skills and God given talents to project the image of Nigeria. It will be a piece of beauty to find a Nigeria's Sporting body to include the likes of Brigadier-General Samuel Osaigbovo Ogbemudia (rtd) (who when he was Military Governor of Mid West region established an AFUZE Sporting Village and developed Sports to a reasonable area in the region. Edo State of today is still profiting from the unique vision. Dejo Fayemi, Segun Odegbami, Adokiye, football loving Emeka Omeruah, Alhaji Abdul Kareem Amu, the famous 400 meter champion of Nigeria, David Ejoke and Amusa Eke of the 60s, Violet Odogwu-Nwajei, Modupe Osikoya, and several others too numerous to mention. I have implicit faith in the successful completion of the struggle of Nigerians for unity, progress and stability. Our country's future history will by the grace of God be written in gold. The wordings of our National Anthem which was commissioned and put into operation by General Olusegun Obasanjo's military administration in 1976 are indicative of our total commitment to the unity of Nigeria and a deserving tribute to our founding fathers who pioneered the political independence of Nigeria. Babatope, former Transport Minister, delivered this paper at a function organised under the auspices of the National Association of Political Science Students, University of Ilorin Chapter. Copyright © 2004 Vanguard. All rights reserved. Distributed by AllAfrica Global Media (allAfrica.com). To contact the copyright holder directly for corrections — or for permission to republish or make other authorized use of this material, click here.